Yes, it’s a jukebox musical. 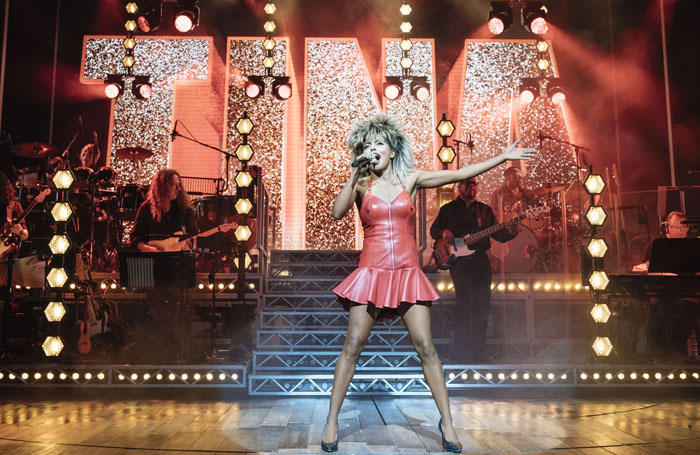 And no, it’s not imaginatively told, galloping straightforwardly through Tina Turner’s life and works from childhood to the peak of her fame in 1988. 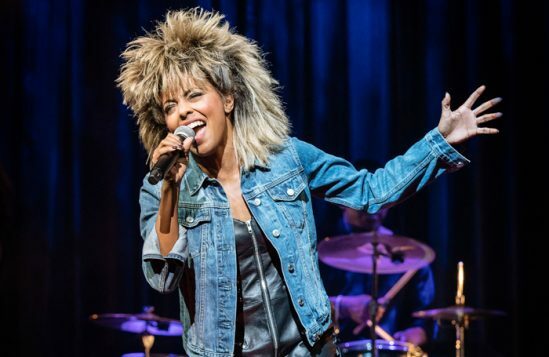 But two things make this new West End mega-musical incredible: one, her life story – the fact that the unwanted daughter of poor black sharecroppers in racist small-town Tennessee became Tina Turner; two, Adrienne Warren as Tina. Despite the show’s creative pedigree, with Mamma Mia! director Phyllida Lloyd  at the helm and a book by The Mountain-top writer Katori Hall, nothing about the production is particularly interesting or innovative. It’s a standard bio-musical, although that makes it sound like it was grown in a lab – which, considering how much it relies on following a formula, doesn’t seem too far off the mark. Triteness abounds, with characters telling young Tina “Your voice is a gift” amid other worn-out tropes. 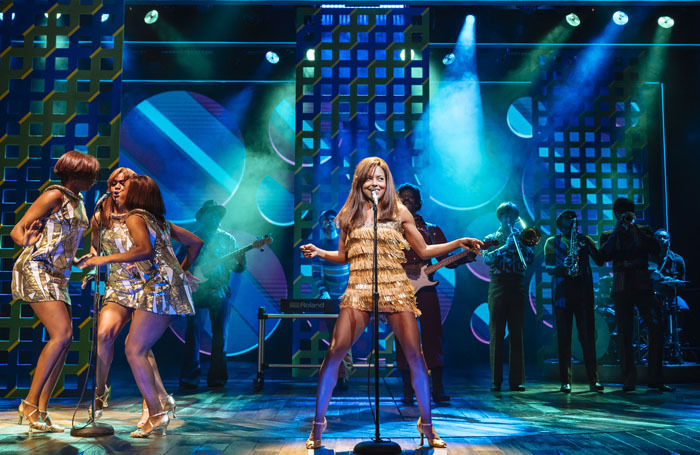 Lloyd’s staging and Mark Thompson’s design make liberal use of a revolve, surrounded by recessing proscenium arches that suggest frames capturing snapshots of Tina’s career. A huge screen on the back wall shows either screensaver-like colours and shapes during the catalogue of Tina’s hits, or otherwise displays bluntly obvious animations, such as a road when Tina is on the road. It’s naff, and the show is clearly too commercially important to provide berth for imagination or stylisation. This is pure hagiography. 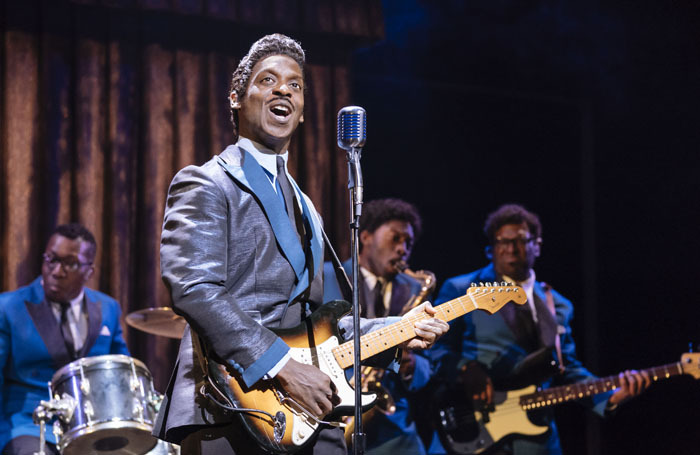 And maybe there’s no other way to tell it but, almost minute for minute, the show beat matches the 1993 Turner biopic What’s Love Got to Do With It. 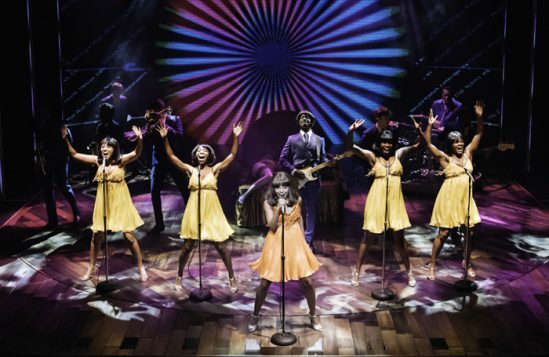 There’s the opening scene in which a young, unruly Tina – or Anna Mae as she was back then – ad libs at her gospel choir in the desolate backwater of Nutbush, Tennessee; the scene where her mother leaves; where she first sings for Ike Turner; the abuse, the divorce and the solo career. But whereas the film slows down and digs into its story, this musical never relents. It plays out in one very long montage, with no time to settle, hopping from one chapter to another. 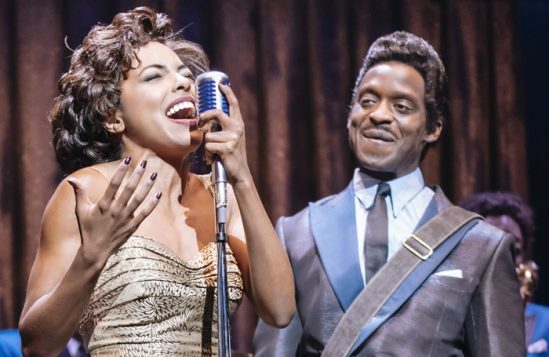 What gives this the edge over the film are, of course, the musical interludes every few minutes: River Deep – Mountain High, Let’s Stay Together, Private Dancer, Better Be Good to Me, Nutbush City Limits, Proud Mary. It’s irresistible. Everything is just so perfect and glossy, from the choreography to the beautiful costumes to the huge group of performers at the top of their, or anyone else’s, game. 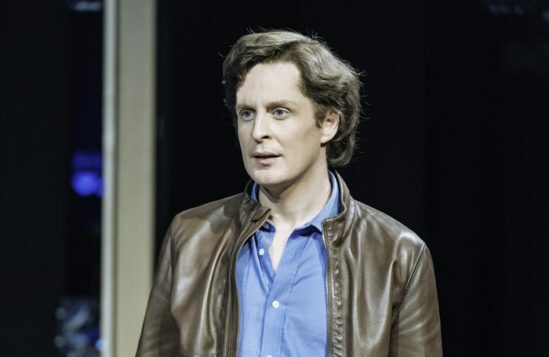 Exquisitely cast in the role is Warren in her West End debut: she has the perfect poise and the high-heeled stagger, the straight back and the slightly-inward-pointing knees. She has the huge smile and ferocious charm. She has that impossible velocity when she dances, recreating iconic moves and routines with absolute ease. She has the slight rasp at the edge of her voice, which can draw down into quietness and tenderness or open wide into pure, belting power. She’s more than mimicry and more than tribute. She’s an unbelievable embodiment of the warrior woman herself, as if she’s been possessed. And, without any doubt, she is the hardest-working woman on the West End stage. How she doesn’t collapse with exhaustion before the curtain is a miracle. Warren provides so many spine-tingling moments, especially after a scene in which she fights Ike back. When she sings at that point, on her own on stage, there’s just no sense that this extraordinary woman isn’t going to be absolutely fine. Opposite her as Ike is Kobna Holdbrook-Smith, giving a distressing performance as he shifts from roguish charm to fits of violence. 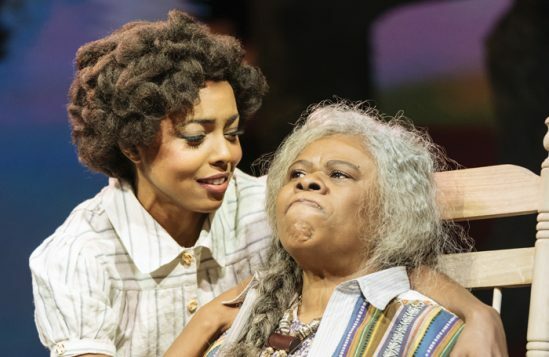 It’s such a difficult role to get right, particularly in an ultimately feel-good musical that doesn’t give much room to be an in-depth examination of domestic violence: too realistic and it upsets the tone of the show, too stagey and it undermines and erases the horrendous suffering that Tina experienced, like so many women around the world. Under Lloyd, the stage violence is very obviously fake, but still upsetting. Hall’s book gently expresses the idea that abuse, domestic violence and racism leave long legacies. After their divorce, Ike had all the control, all the rights to the songs, all the money. She was powerless and destitute, relying on cleaning jobs, as she explains in her autobiography I, Tina. Even the record labels tried to put Ike and Tina back together, despite knowing how violent he was, just because of the commercial value of the couple. The cruelty of that is unfathomable. Eventually, the show outruns the film, which ends in 1981, and Turner’s 1986 autobiography. In a London studio we see her first solo success, Private Dancer, being recorded, and the reason the show is opening over here, in a city Turner fell in love with. Finally, it’s 1988, Rio de Janeiro, and Tina prepares to perform in front of the largest crowd ever recorded for a concert. At this moment, the show unveils its reason for being. “I am focused on trying to create that unrepeatable live experience that Tina gave an audience,” Lloyd has said about the show. 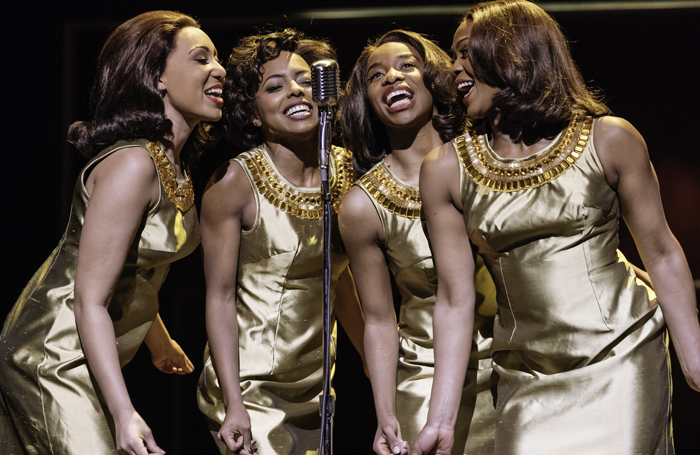 Tina herself only came on board reluctantly, won over by the fact that her power has always been in live performance and, since she’s now retired, musical theatre is the best way to keep the thrill of that liveness going. The pull isn’t the book, or the set, or the direction. Most of the auxiliary characters are comic and overblown. The design is unimaginative, the story skeletal. 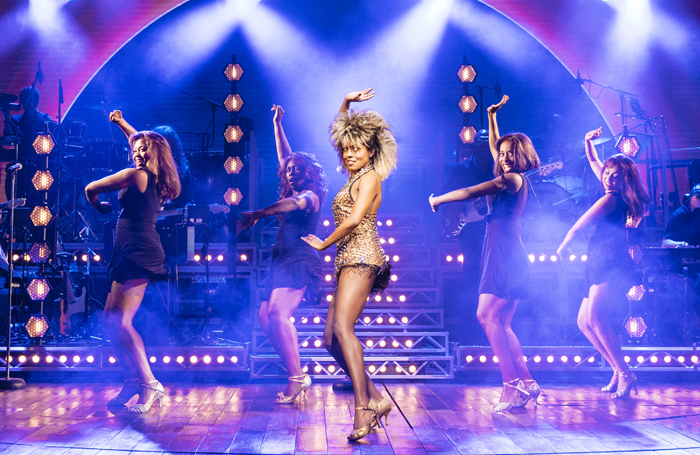 But in the end, wrapped around the bare bones of this extraordinary woman’s life, we watch a Tina Turner tribute band of supreme quality. Between the first scene in Nutbush, and the show’s last in the presence of 188,000 fans, they show the unimaginable difference between humble beginnings and the peak of global stardom. In a week where Beyonce achieved apotheosis at Coachella, a year where Black Panther changed the game, an era where Noma Dumezweni  is Hermione, there couldn’t be a better time for this story about a black woman who helped blaze a trail for them all.